My pottery is primarily functional. I try to be aware of the convenience and comfort of the user, so my pots may become favorite tools in the kitchen or on the table. And I want to make beautiful pots that enhance the beauty of the house, with simplicity and elegance. And finally, I am interested in the role pottery plays in the history of human culture, its place in domestic life, in ritual, and in artistic expression. I believe that our lives are improved by using handmade, locally made, individually made objects. I call myself an art worker. I work in the medium of clay, I teach pottery classes, I sell my work at galleries and craft shows, and I’m an organizer in the local art scene in Chestertown, Maryland. I’m a partner with five other artists/craftswomen and men in a beautiful gallery in Chestertown, Create Art Craft Design; Faith Wilson – painted floorcloths, Bob Ortiz – furniture, Patti and Dave Hegland – glass, Rob Glebe, – metal, and Carla Massoni – curator. In addition to our own work, we sell the work of the best craftsworkers in the country. If you’re on the Eastern Shore of Maryland, please come visit the gallery. You’ll be inspired by the beauty, craftsmanship and quality of the work we’ve collected. 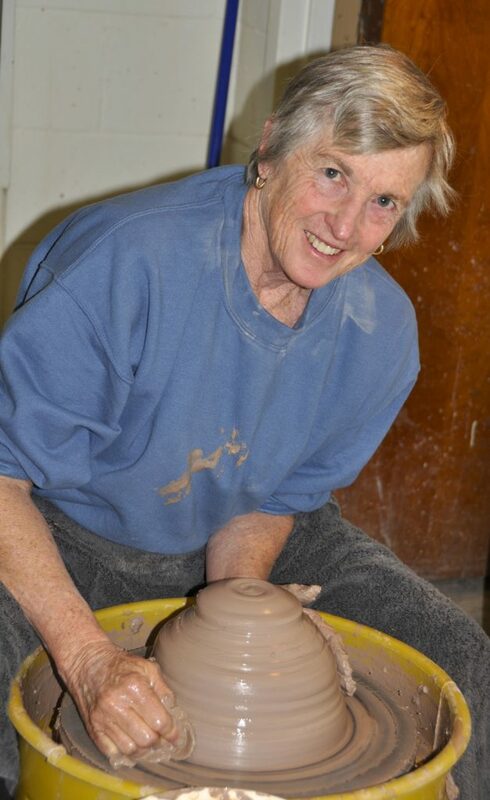 Chestertown is also home to Riverarts Clay Studio, where I teach pottery classes. Our clay studio is full of enthusiastic potters and students. Teaching is an important part of my mission to promote the use and making of handmade, locally made, one of a kind things.